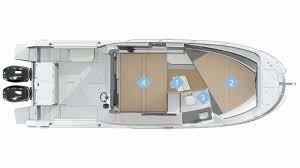 The days you had to choose between comfort and performance, between fishing and cruising are gone. 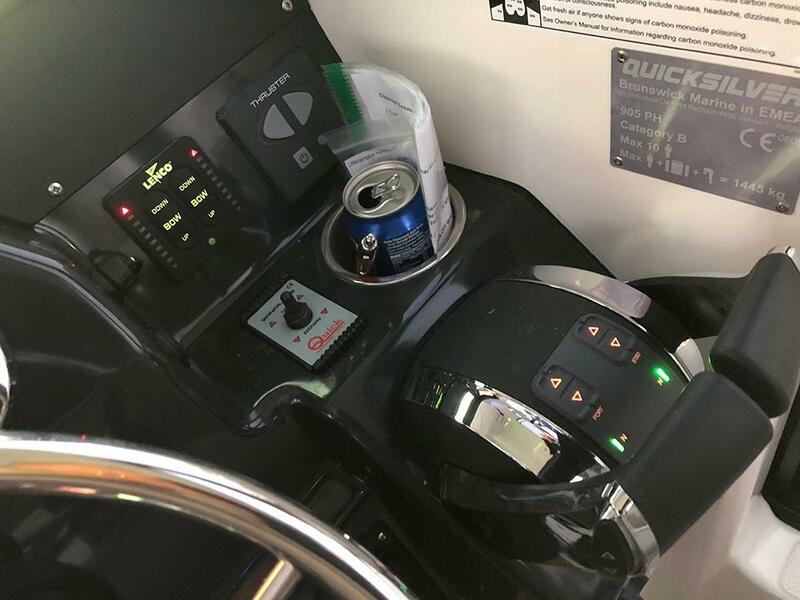 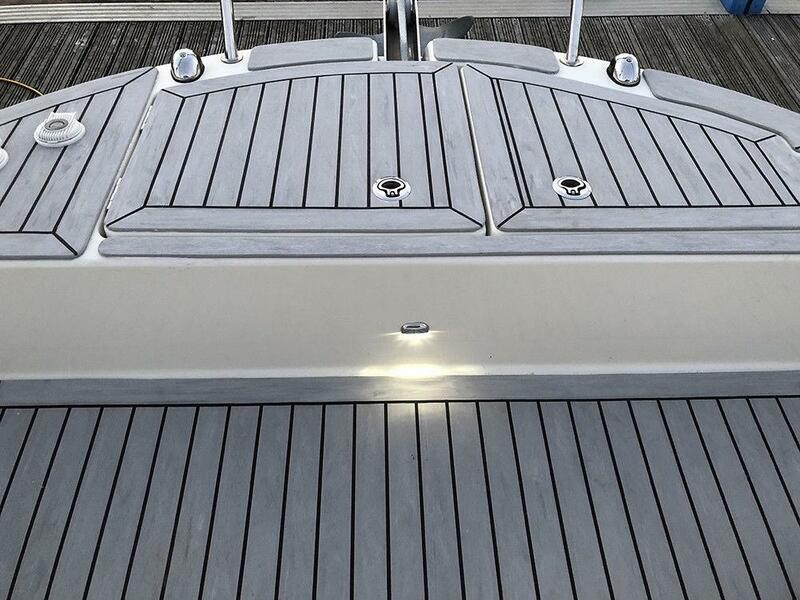 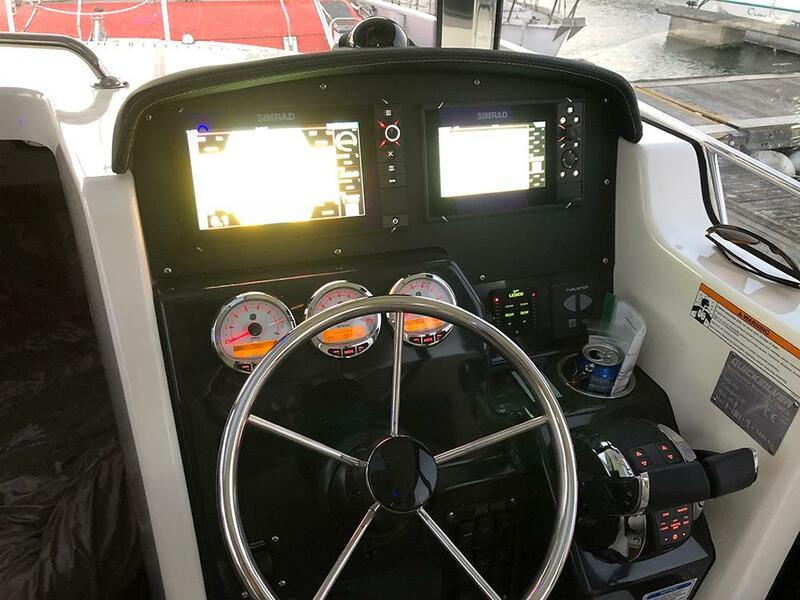 With the 905 Pilothouse you can have both! 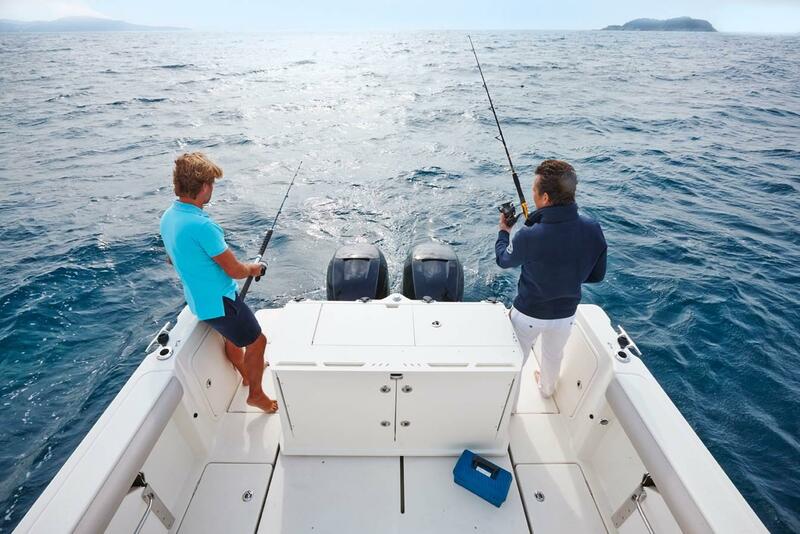 Designed without compromise for fishing, adventure & fun, and all in perfect safety and comfort. 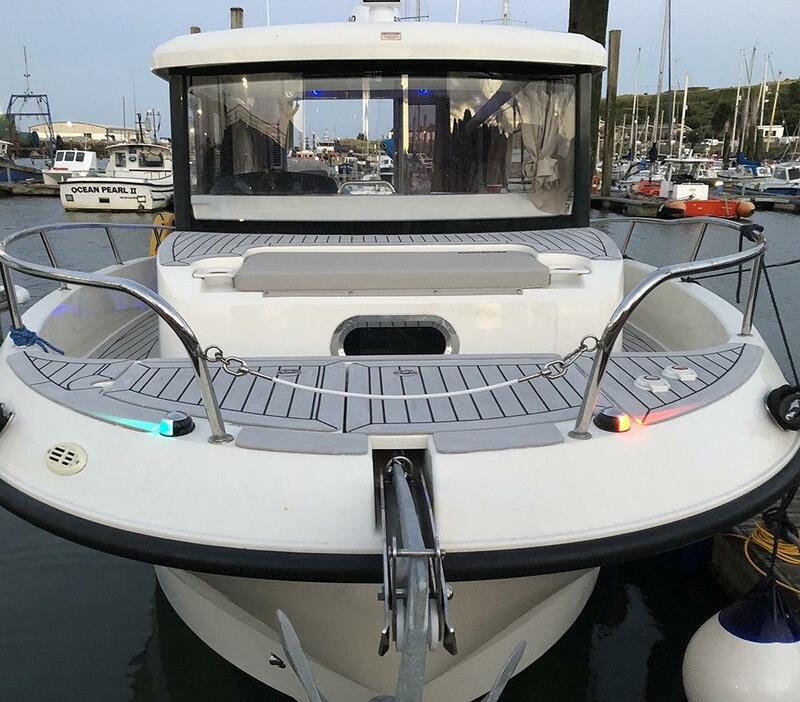 The 905 Pilothouse is suited for offshore cruising (category B) and carries up to 10 people. 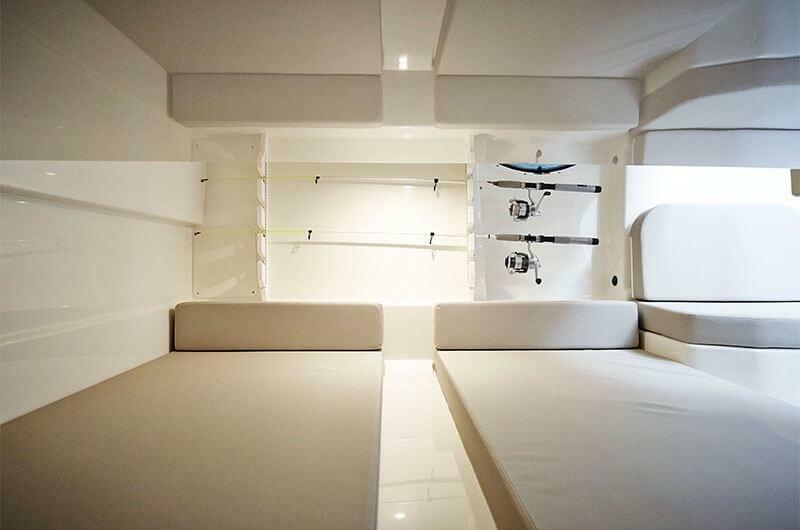 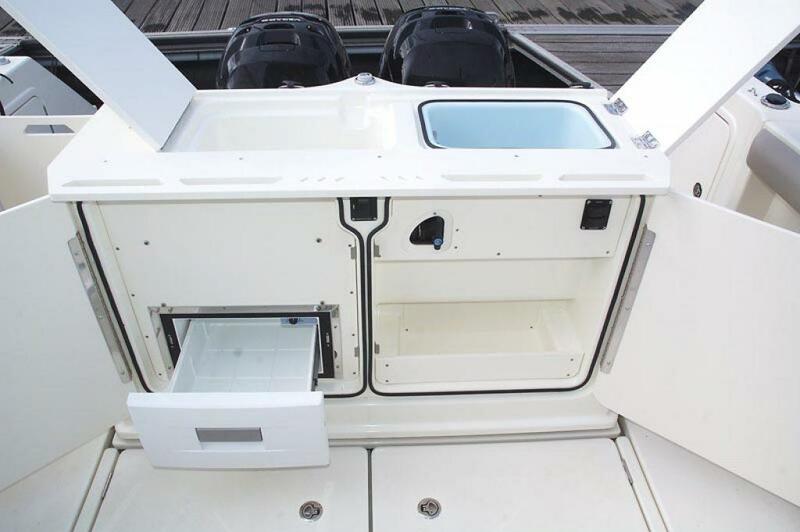 It features a comprehensive fishing station, as well as overnighting capacity for up to 6 persons. 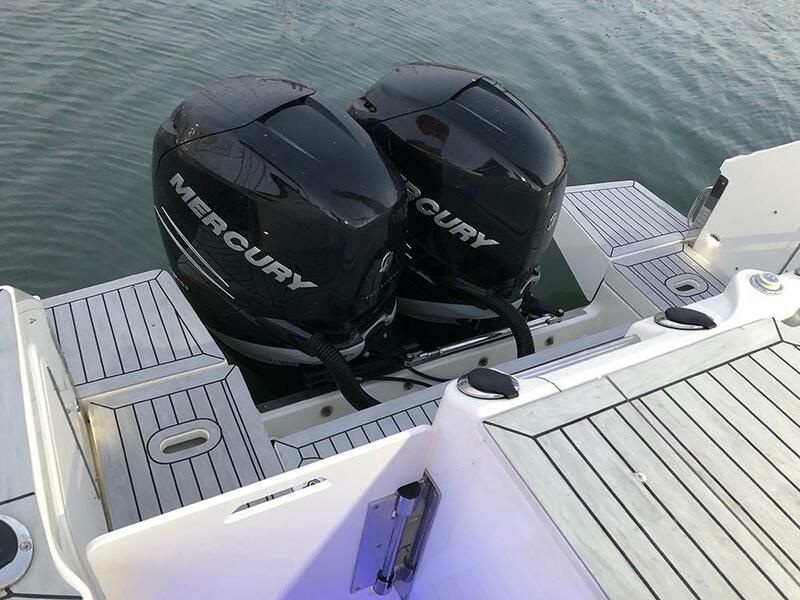 Performance is safe and agile thanks to the Mercury engine offering, and power of up to 500 hp. 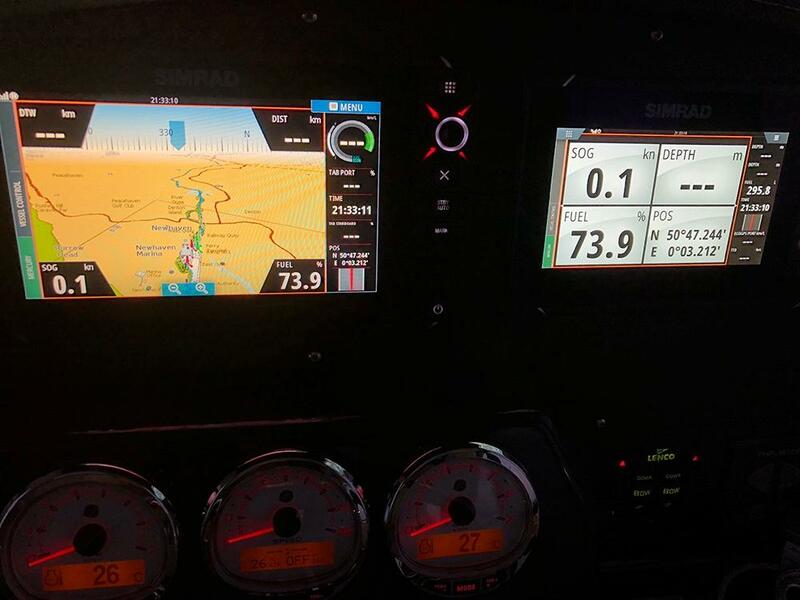 means you get to the fish in almost no time at all. 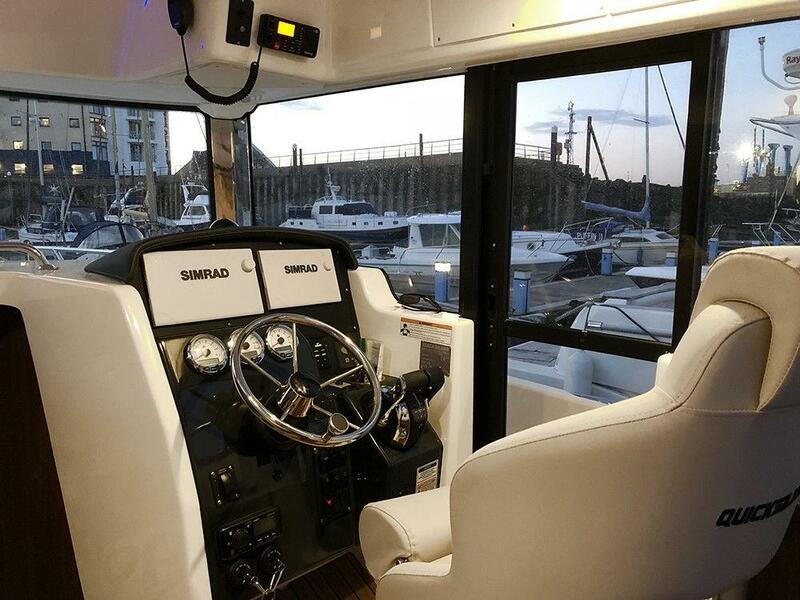 The 905 Pilothouse; why settle for less when you can have it all. 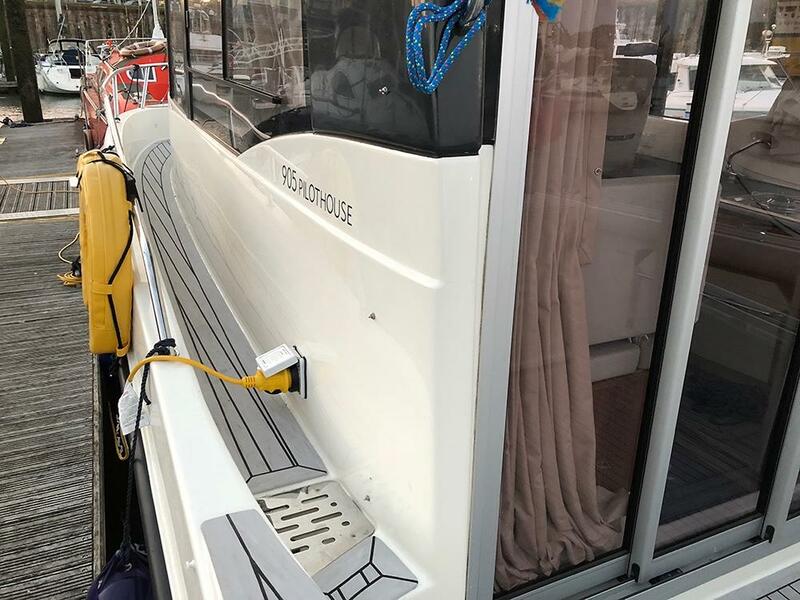 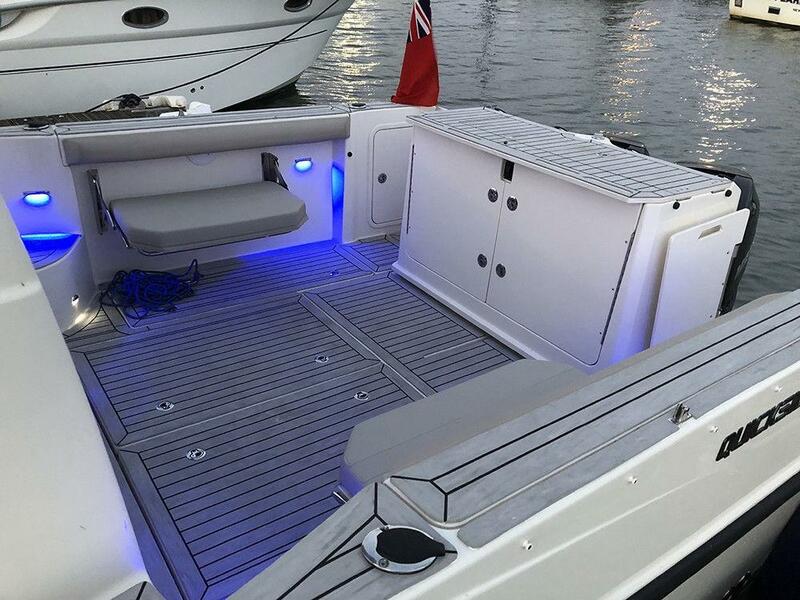 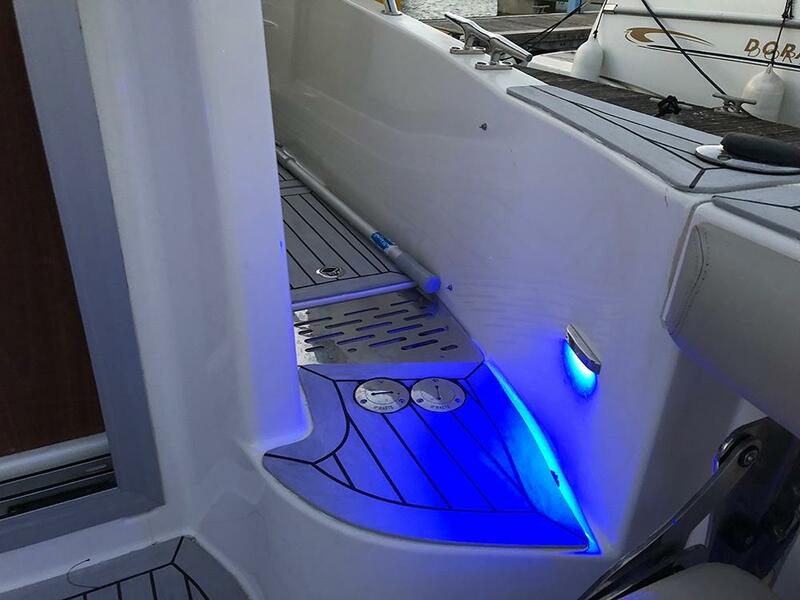 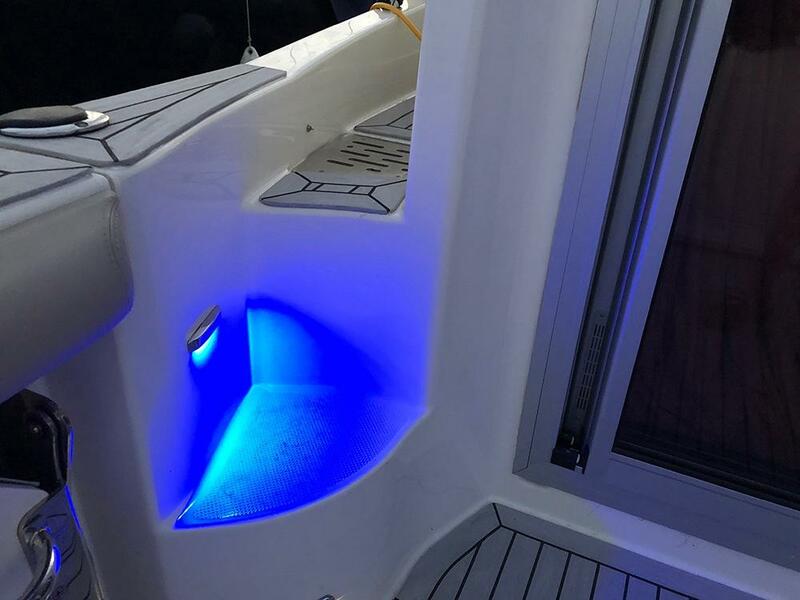 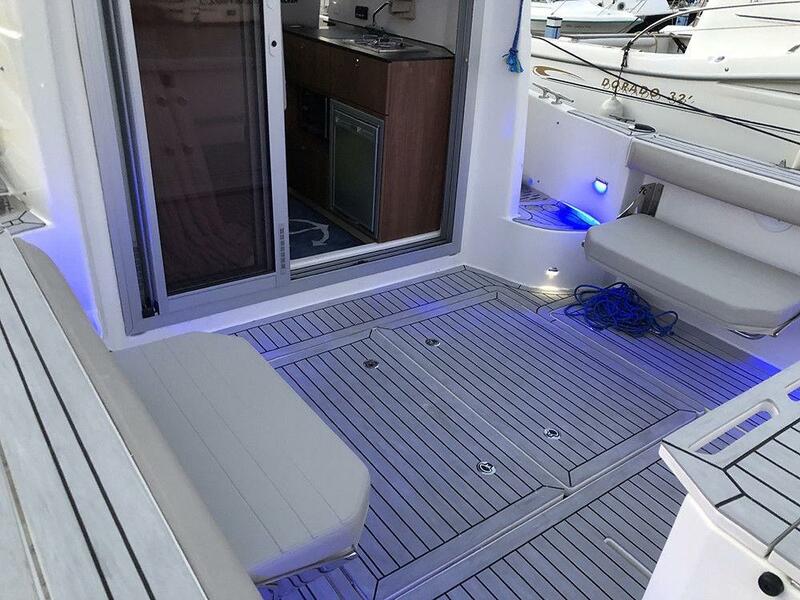 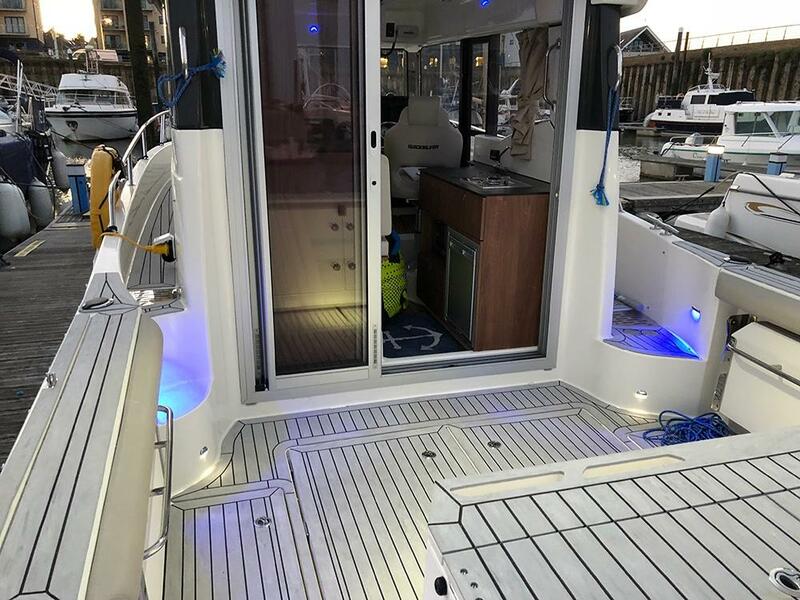 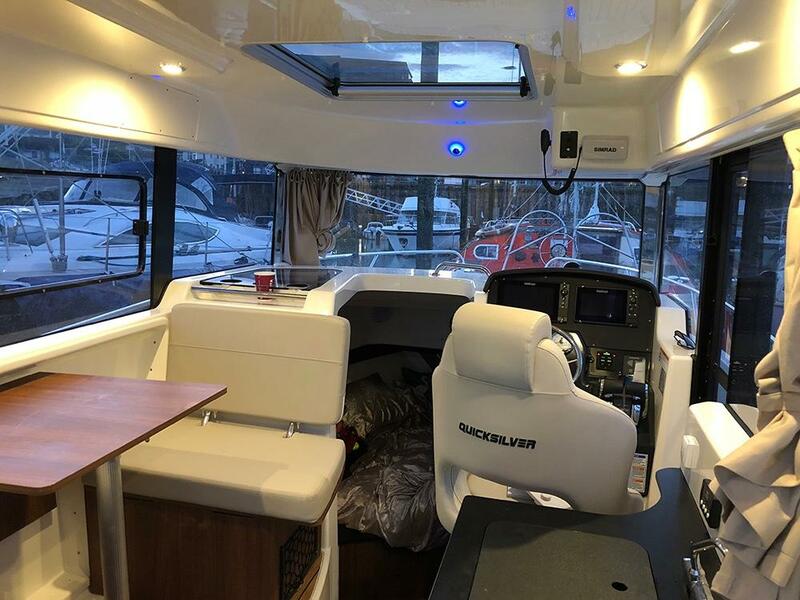 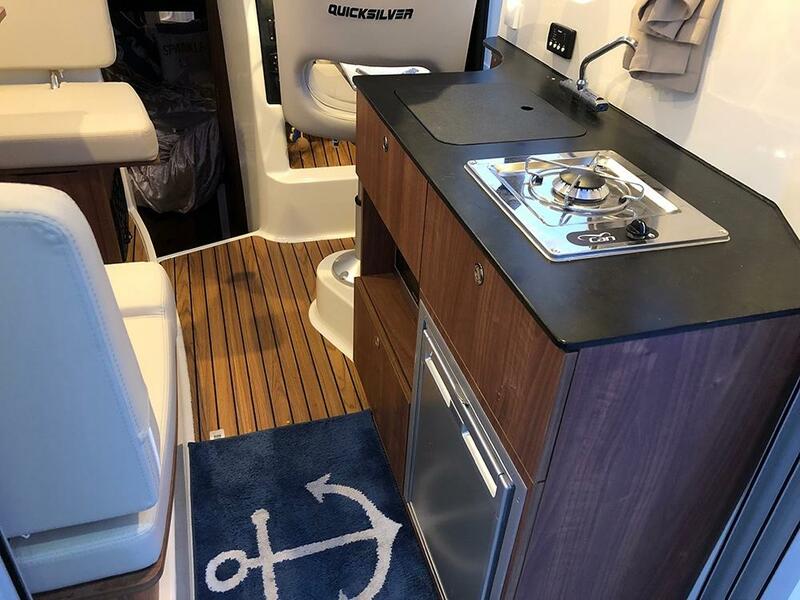 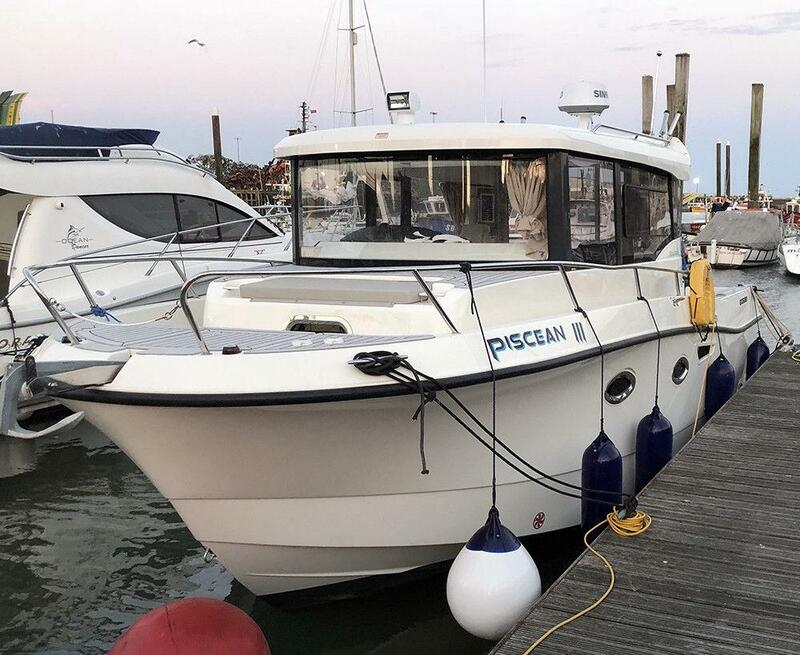 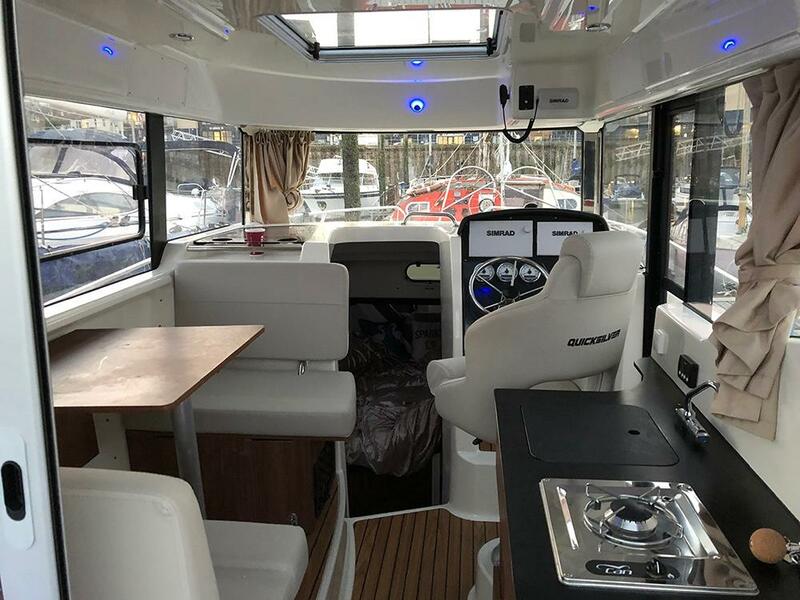 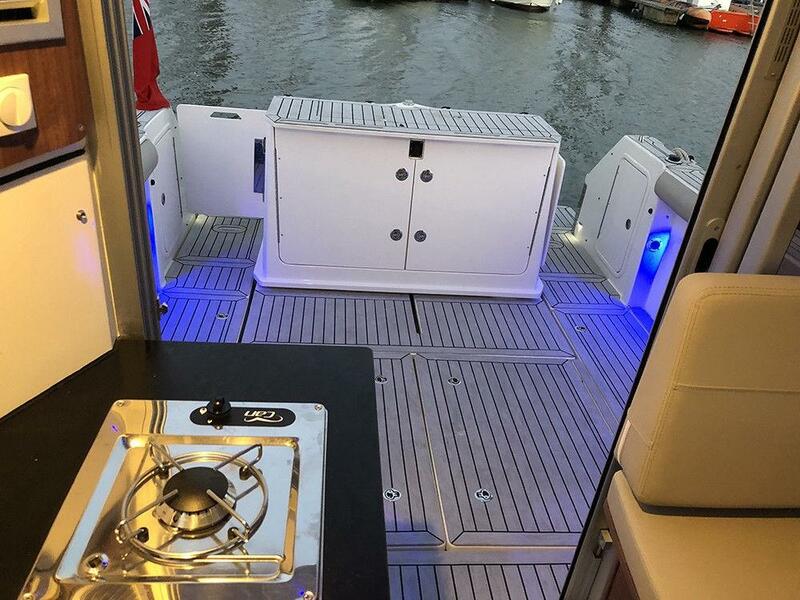 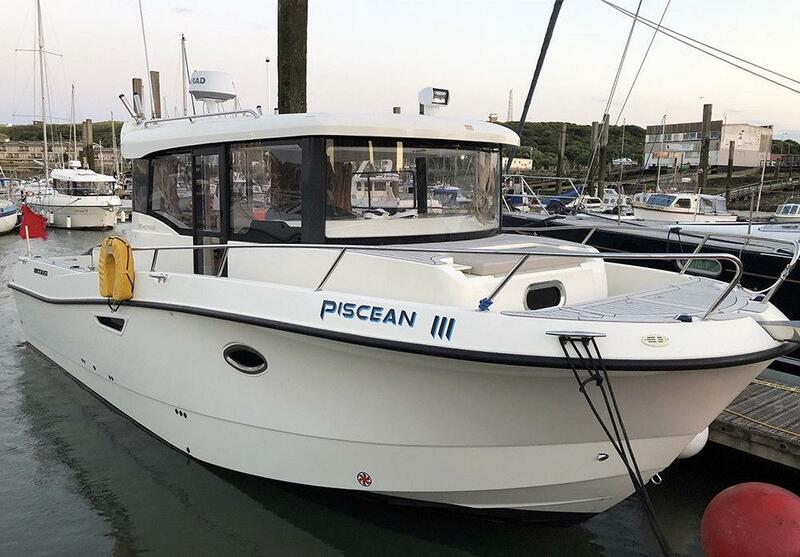 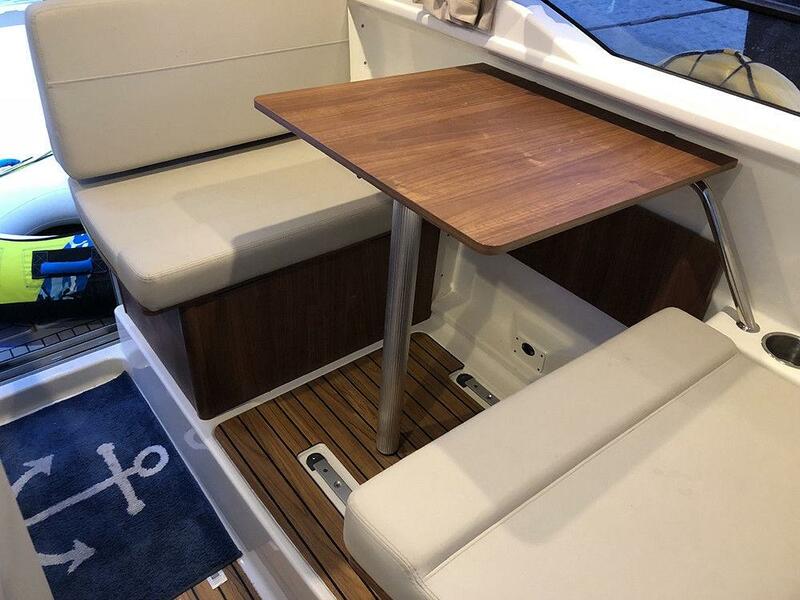 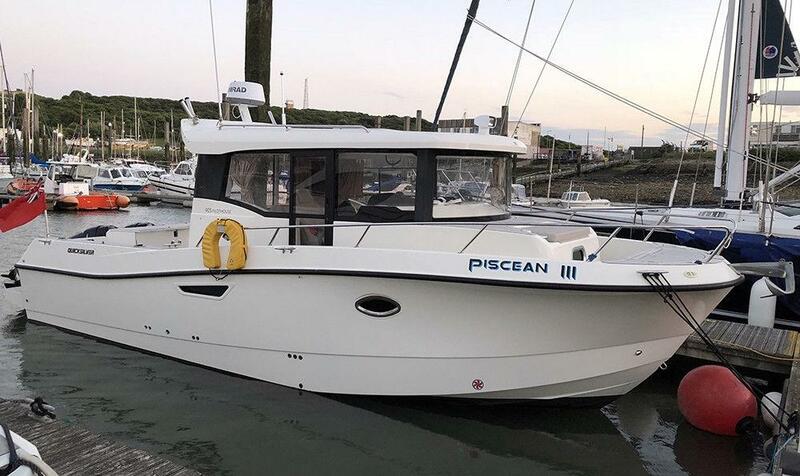 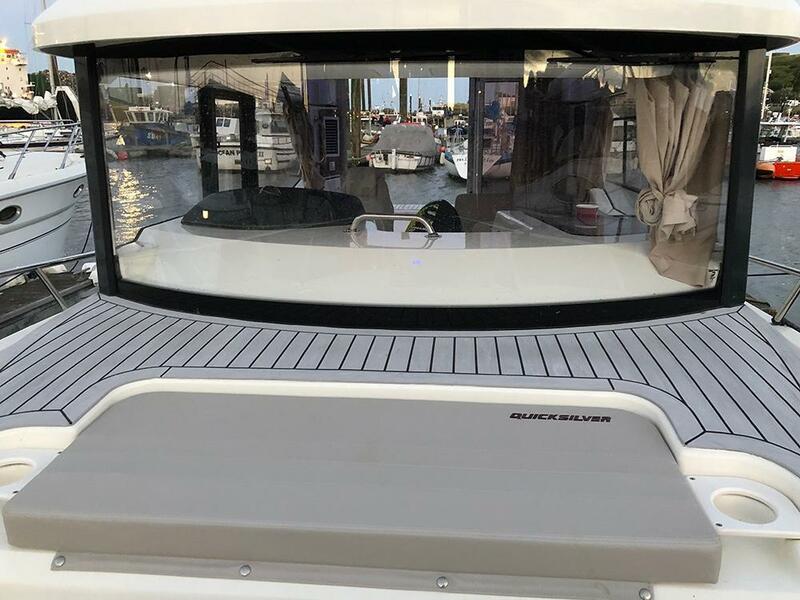 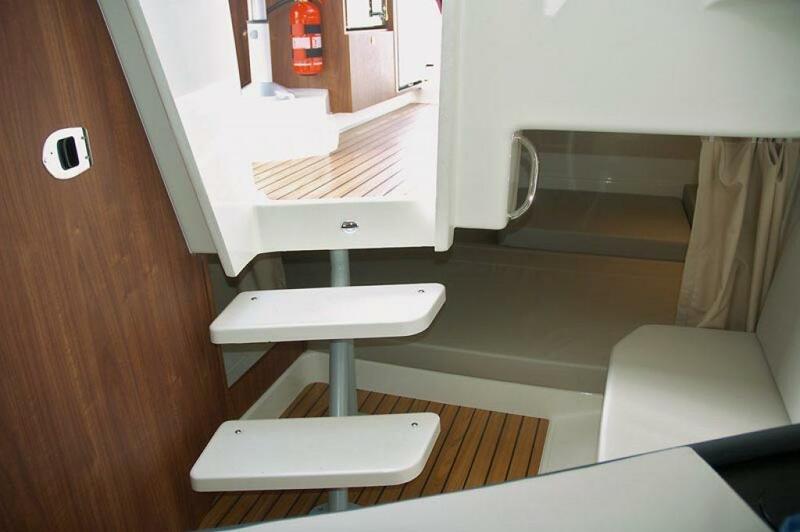 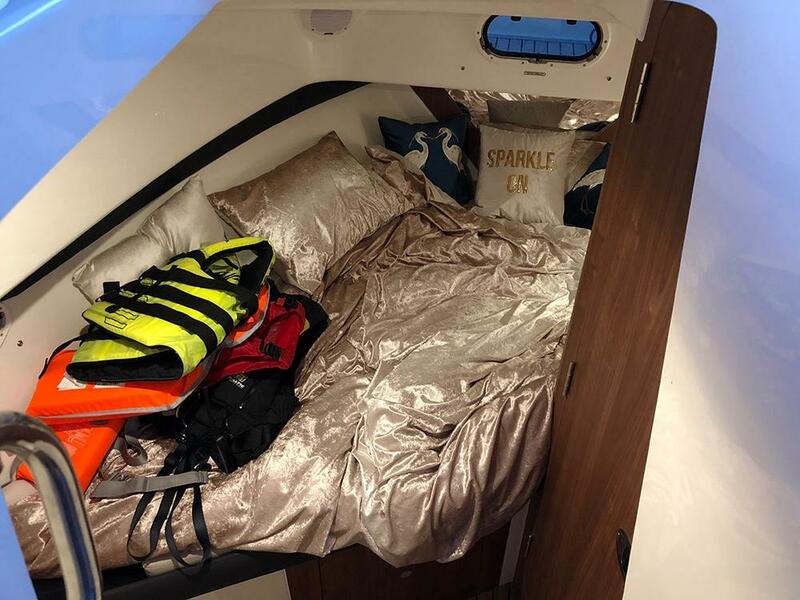 Comes with the Smart Pack which includes a refrigerator, removable single burner stove, microwave, interior curtains, port flip seat, starboard flip seat, bow cushion, interior rod racks, rodholders, fishing station upgrade (extra rod holders - 2 on fish station, 2 on coaming caps, raw water washdown, livewell system, drawer refrigerator). 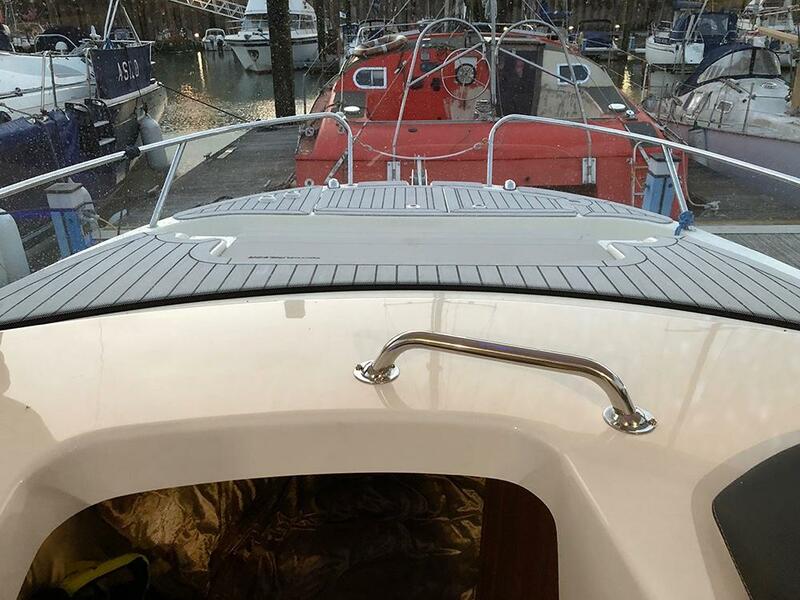 The vessel has also been recently antifouled. 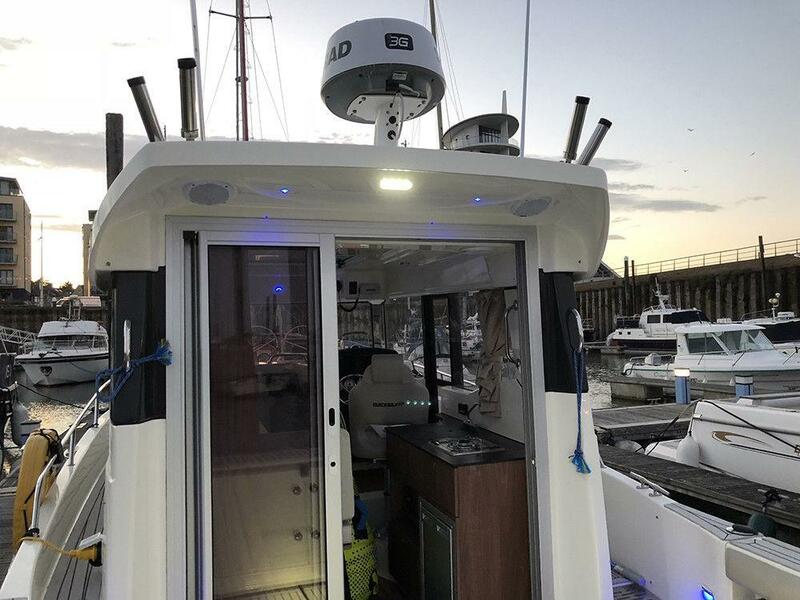 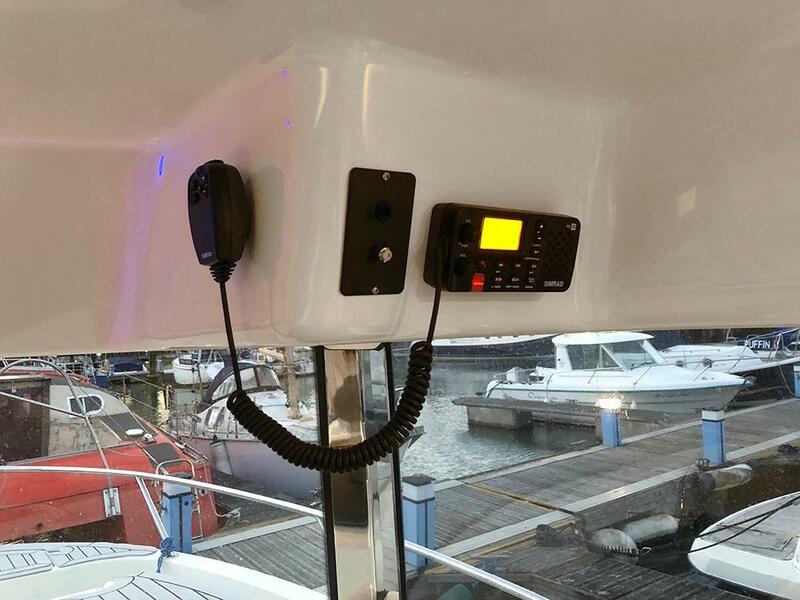 Simrad EVO 3 NSS7 7"
GPS Point One antenna and network expander and a structure scan transducer. 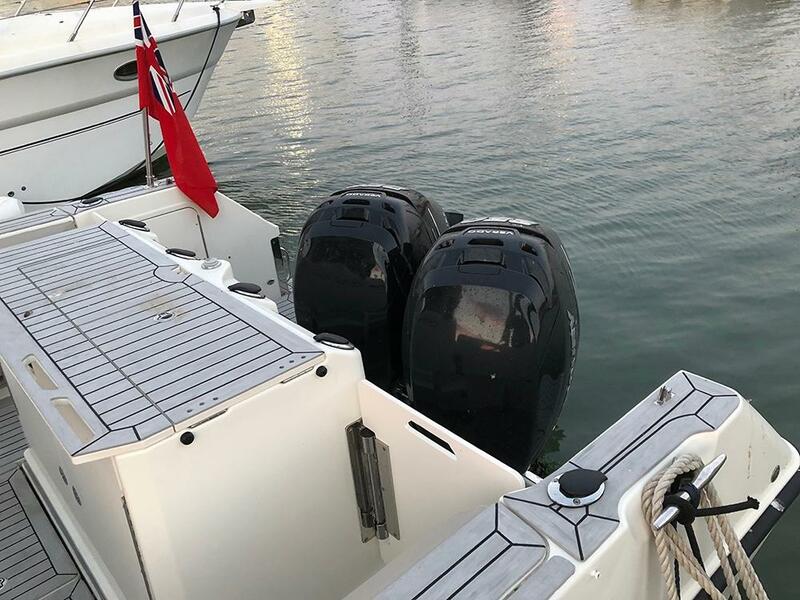 Launched new in October 2017 (2016 model) it is powered by twin Mercury 250hp Verado outboard engines with SmartCraft.